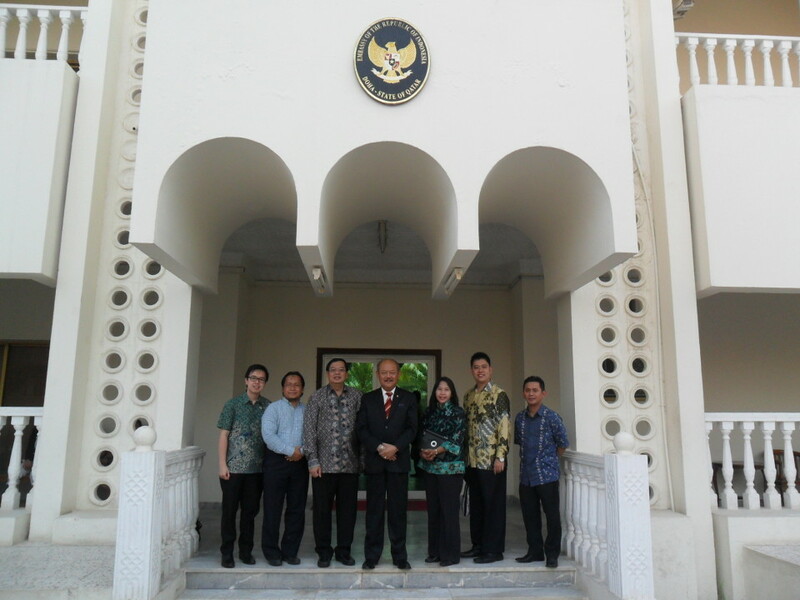 The Indonesian embassy in Doha, Qatar welcomed BINUS UNIVERSITY’s representatives on May 22nd, 2014. BINUS UNIVERSITY ,represented by Prof. Dr. Ir. Harjanto Prabowo (Rector), Mr. Judi Arto (Marketing Director) and Mr. Henky Halim (Marketing Manager for BINUS Online Learning), were warmly welcomed by H.E. Mr. Deddy Saiful Hady, Ambassador of the Republic of Indonesia in Qatar. Many opportunities for collaboration in education were discussed in this meeting, including scholarships, online master programs, and international student visits from Qatar to Indonesia. In the meeting, the Ambassador said that many students in Qatar are seeking information about universities for their future higher education. Most of the students, according to the Ambassador, are also considering attending universities outside of Qatar. One of many universities being considered is BINUS UNIVERSITY. In view of this condition, the Ambassador is encouraging Qatar students to study in Indonesia. As a form of collaboration for international students, BINUS, through its international program BINUS INTERNATIONAL, will provide scholarships for qualified candidates. As one of the leading private universities in Indonesia, said Professor Harjanto, BINUS UNIVERSITY keeps developing to deliver good quality education, both to Indonesian and foreign students. Through collaborations with more than 70 universities worldwide, BINUS UNIVERSITY gives opportunities for students and faculties exchange, short course and academic research. To deliver good quality education worldwide, BINUS also provides online study through BINUS Online Learning, which is available for Bachelor, Undergraduate and Master Degrees. Through this online program students will be able to learn without time and distance boundaries. 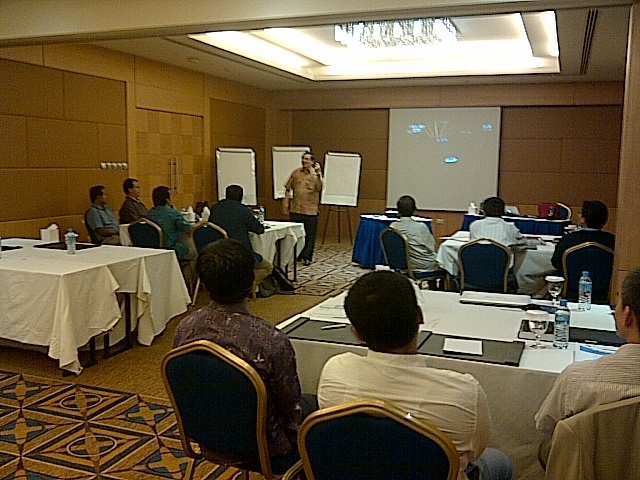 Mr. Judi Arto stated that BINUS has operated an online master program for Indonesian employees in Qatar since 2013. Currently, there are 12 students enrolled on this program. Learning methods, e.g. : video conference, web based discussion room and tasks are conducted online. 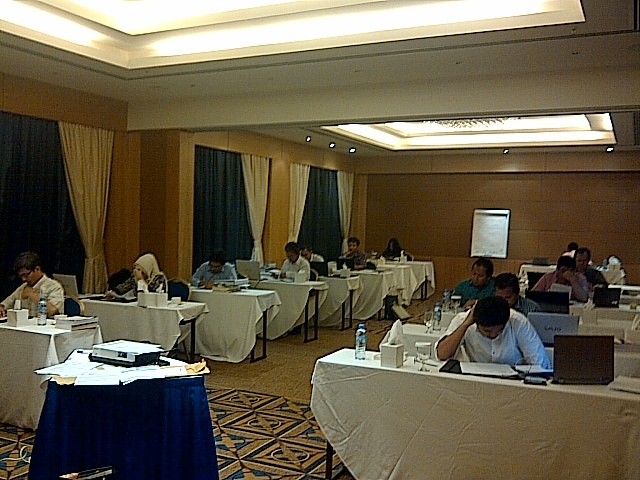 A unique feature of this program is that on the 10th week of study, one of BINUS’ lecturers will come to Qatar to conduct an on-site class and exams, so the quality of the students will be maintained. As the meeting continued, the Ambassador promised to open the way for collaboration between BINUS and companies in Qatar. This collaboration will cover two things: undergraduate and graduate program scholarship for Indonesian employees in Qatar and a 3+1 program, which provides BINUS students to follow three years study in Indonesia and one year internship in Qatar.